Marie Shannon's work considers her surroundings, in particular her domestic environment. 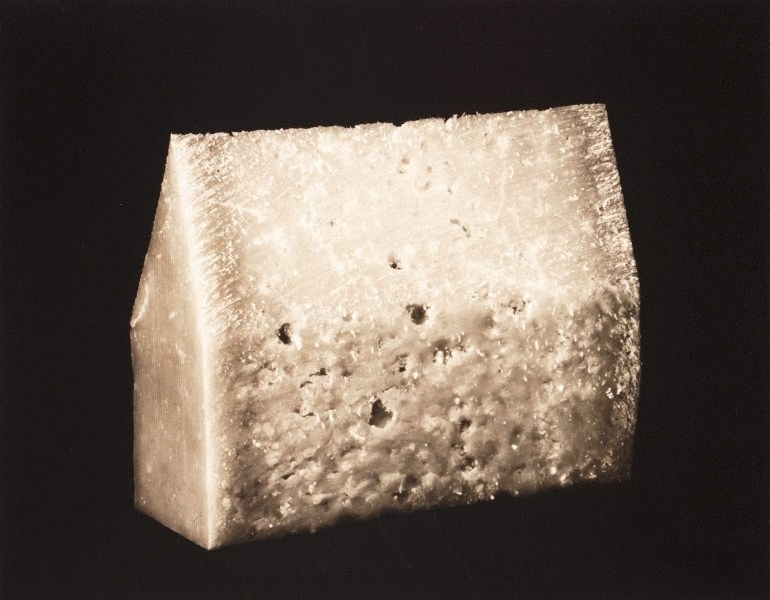 In placing an emphasis on the ordinary and the everyday her work subtly disrupts the tenants of modernism. In 2001, for instance, she made photographs of watercolours she had painted of Donald Judd's furniture at Marfa. The austere and nominal look of his domestic environment transformed into soft wavering lines and gentle shadows. In 'The house of parmesan' Shannon adopts a similar strategy. 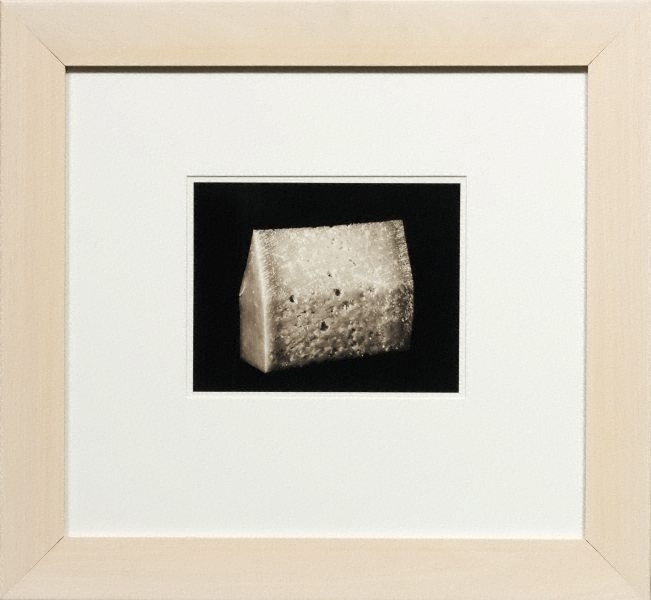 Here, the monumental forms and perspective often associated with modernist photography is alluded to in the composition and framing of the object, however this is conceptually undermined by the title which reveals that the image depicts a block of cheese - fragile, porous and produced for consumption. Signed and dated c. verso, pencil ".../ MARIE SHANNON/ 1991".